Categories: holidays, photos | Tags: america the beautiful, blogging, egparsons, elizabeth melton parsons, holidays, image, Memorial Day, my country tis of thee, songs | Permalink. Remembering America’s Hero’s Then and Now. 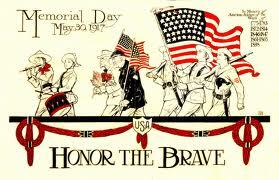 Wishing everyone a safe, happy and peaceful Memorial Day weekend. Categories: blogging, holidays | Tags: blogging, eg parsons, elizabeth melton parsons, holidays, images, Memorial Day, Memorial day graphic | Permalink.